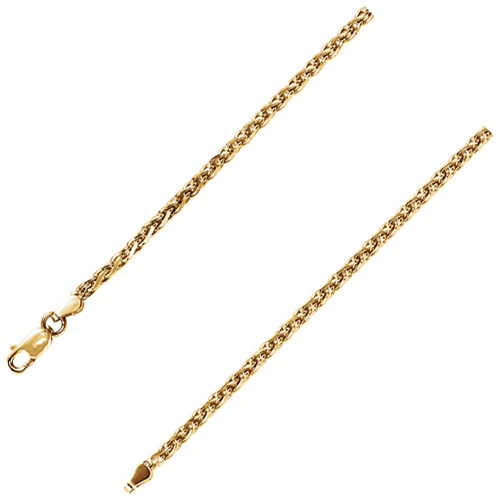 Diamond-cut 14kt yellow gold wheat chain has a lobster clasp. Width: 2mm. Length: 16 inches. Weighs 8.30 grams. Please note: weight is approximate, actual weight may vary.